Michael Mayfield and team at First Church of God. Those who attended the Regional Convention in Columbus, Ohio, in June came for connection and conversation, for worship and the Word. Others came for resources, and for reunion with friends and family. 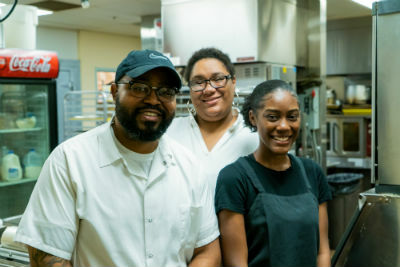 Few came expecting to tickle their taste buds, but for those who experienced the culinary craftsmanship of the catering at First Church of God, that’s exactly what they did. While the desserts and dishes at convention meals and receptions were a delicious delight, the sweet spirit of Michael Mayfield and his team is what left convention-goers most impressed. 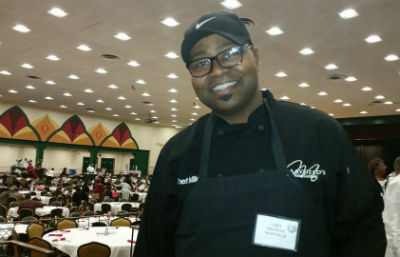 Michael Mayfield was the first in his family to become a chef. His father, though not a professional, could often be found in the kitchen or at the barbecue for family and church functions. Young Michael observed the joy his father felt as he watched the smiles on the faces of those who consumed what resulted from a labor of love. Following in his father’s footsteps and cooking for casual gatherings was how Michael got his start in catering. But his desire for excellence and his servant heart is a reflection of Colossians 3:23. 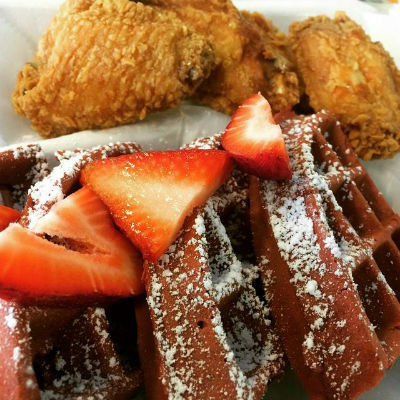 In everything Mayfield’s Custom Catering does today, it’s clear they’re doing it for the glory of God. Presentation is important to Michael Mayfield. 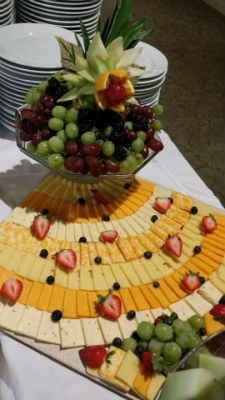 Fruit and cheese tray made with love! Michael also catered for the ONE Event that followed, which brought together students representing IYC, NIYC, and the Hispanic Council. Michael Mayfield, a “Jesus guy” and culinary artist. Though Michael specializes in a variety of dishes, his favorite food to prepare is Italian. One example is a chicken pasta, complete with roasted red peppers, sun-dried tomatoes, spinach, and a Cajun cream sauce. On the sweeter side, he delights in creating cobblers and pies, but his forte is his famous bread pudding. Find him on Facebook at www.facebook.com/mayfieldscustomcatering. Blessings at the Church of God Regional Conventions this year have come in all shapes, sizes, and degrees of sweetness! Plan to join us for one (or both!) of the remaining two Regionals—Fairfax, Virginia (September 18–19) and Safety Harbor (September 25–26). Register now at www.chogconvention.org. This entry was posted in All Church of God, Church of God Convention and tagged catering, chef, Church of God Convention, Columbus, cooking, culinary, eating, First Church of God, food, Life Columbus, LifeColumbus, Mayfield's Custom Catering, meals, Michael Mayfield, OH, Ohio, receptions, regional conventions, Timothy Clarke. Bookmark the permalink.